The kitchen is the domestic heart of the home. As a gathering space for family and friends, you want this focal point to reflect your style. Keeping that in mind, it's time to look at the kitchen design trends that are on the rise in 2018. If you are planning a big kitchen remodel in the new year, these are the seven biggest trends you should consider incorporating into your new space. "White and gray cabinets with dark wood or plank tile floors have been key in design, as well as using LED light fixtures. Smart appliances that take the guessing game out of cook times, or even help you with your grocery list, are up and coming, in addition to integrating technology such as power stations or wireless charging surfaces." White will always have a place in the kitchen, but gray, navy and even black stand to be the most popular color choices in 2018. Why? Kitchens are becoming bold statement rooms, and these colors are also a great complement to stainless steel apliances. 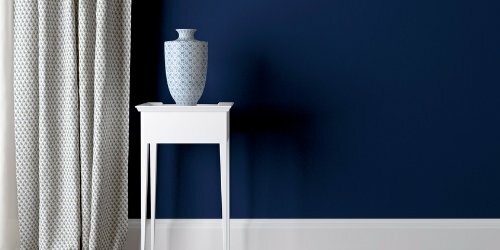 Navy blue also blends well and has the added benefit of inspiring a sense of calm. “Gray is becoming more popular for both paint and stains…We are seeing some trending in the navy-blue, with a combination of matte-gray, blue and off-white for cabinetry, wall color and countertops." One of the biggest trends for kitchens in 2018 is home automation. And if there is just one high-tech element you decide to include in your new kitchen, it should be a touch faucet. The beauty of a touch faucet is that you can activate it with your elbow, or really any body part, instead of using your messy hands. And unlike a completely hands-free faucet, you don’t have to jockey for position to keep the water running. Smart Lighting: With a single shout, you can turn your kitchen lights on and off. Brainy Coffee Maker: Need a fresh cup of joe first thing in the morning? Forget jumping out of bed. You can use a WeMo switch or other smart plug to control your regular coffee maker from your phone or virtual assistant. Bluetooth Meat Thermometer: There are several Bluetooth thermometers on the market that will free you from the burden of checking the oven every five minutes. LG HomeChat: This allows you to text message appliances in your kitchen to manage everything from setting the timer on the oven, to adjusting the temperature in your fridge and freezer. Touchable Stovetops: Using induction burners, these stovetops will use magnets to turn your pots and pans into a heat source for cooking. This leaves the rest of your stove cool to the touch, allowing you to leave your cookbook right next to your sizzling skillet. Some models don't have designated burners at all, but will heat up when a pot is on the surface. Be careful not to overdo your home automation. Incorporating too much technology can create a sensory overload. Between your smartphone, tablet, laptop and television you probably have enough screen time during the day. "People want a break from their everyday stresses. Kitchens are being used for gathering areas just as much as they are work spaces. Calming color palettes, clean lines, and functional storage are a minimalistic approach to ease clients from their daily sensory overload. 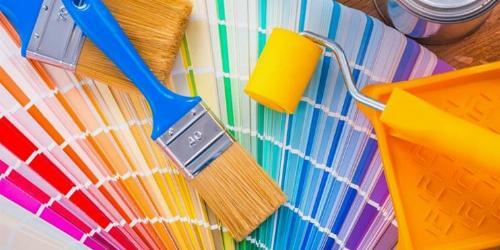 If you see a pop of color, it is usually with large islands or tile backsplashes." When it comes to paint colors, think natural - not neutral - inspired palettes that bring the outdoor world in. Explore colors that play off natural color variations in wood floors or the landscaping just outside the window. Bring in subtle hints of dark green, brown and gray for a tranquil environment. 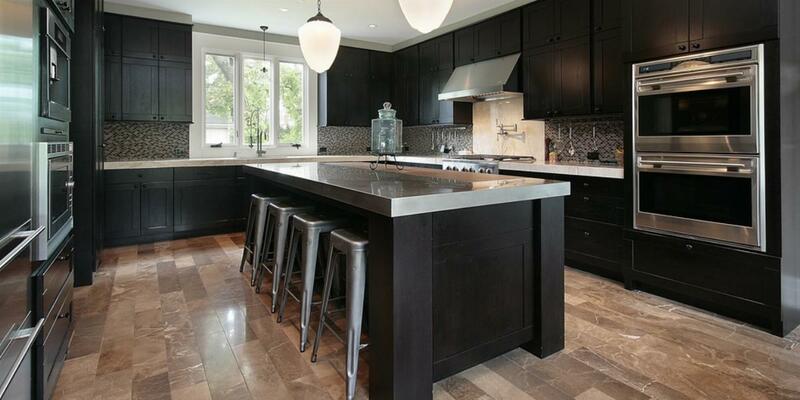 Quartz countertops used to be as expensive as granite. But thanks to new composite materials, many homeowners are choosing to ditch laminate and spring for stone. Besides its attractive appearance, quartz is more durable and less porous than granite so it won’t chip easily and resists most stains. Ditching cabinets that can easily become cluttered, open and "floating" shelves will show up in more kitchen designs in 2018. Creating clean lines with natural wood shelving creates a clutter-free space with a warm, calming atmosphere. A very popular kitchen trend for this year is something of a disappearing act. More and more homeowners are tucking their microwaves, mixers and toaster ovens inside small cupboards and swing-out shelves to keep their countertops clear of clutter. "Hiding appliances is usually done in the corner cabinet. That is still a popular design, but there are also hidden storage options for inside the wall or base cabinetry. " While dark flooring took over 2017, this year is about getting the best of both worlds. High-variation flooring mixes light, medium and dark pieces of wood to give your room added dimension and style. These dark-to-light colors are available in hardwood, engineered wood, laminate and ceramic tile so you can select the right durability for your kitchen. By incorporating just a few of these kitchen design trends into your remodel you’ll have a more functional and eye-pleasing cooking space that is sure to stand the test of time.